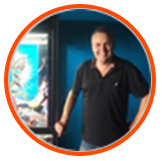 Make $350 to $500 for only one day’s work per week looking after claw machines in Hay NSW! Hay NSW needs a budding entrepreneur who can own and operate claw machines exclusively in the area—that person could be you! In this vending machine franchise opportunity, claw machines get the profit for you—perfect as an additional source of income. Be in total control of your time. Our arcade vending machines only require at least one day a week for servicing and cash collection. Koalakrane offers full consistent support in all areas, including technical and customer concerns. Follow an established business system that has been proven by over 150 Koalakrane franchises throughout the years. 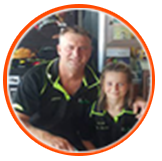 Be the sole franchisee to own and operate claw skilltester machines in Hay NSW, eliminating co-franchisee competition. Koalakrane provides licensed stock exclusive to franchisees, which are an instant hit to potential players. Grab this business opportunity in Griffith area or someone else will!